Be the first to share your favorite memory, photo or story of Joseph "Joey". This memorial page is dedicated for family, friends and future generations to celebrate the life of their loved one. BAHAMA: Joseph “Joey” Earl Mangum died Friday, November 30, 2018. The son of Earl James Mangum and the late Linda Jean Oswald. In addition to his mother, Mr. Mangum was preceded in death by his stepson, Thomas Terry Winstead, Jr.
Mr. Mangum is survived by his father, Earl James Mangum and wife Ruby; fiancé, Lisa Mangum Winstead; sons, Joshua Earl Mangum, and Joseph Scott Mangum and wife Lisa; stepdaughter, Tabitha Laura Winstead; grandchildren Aiden Scott Mangum, Alissa Jean Mangum and Payton Elizabeth Helton; brothers, James Dale Mangum and wife Angela, and Earl James Mangum, Jr. and wife Denise; and sister Cindy Ann Brown and husband Lin; three stepbrothers; two stepsisters; two nephews; five nieces; five great nephews and eight great nieces. A graveside service will be held Tuesday, December 4 at 11am at Glenn Family Cemetery in Durham. The family will receive friends on Monday, December 3 at Clements Funeral Home in Durham from 6 to 8pm. 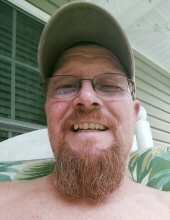 Flowers or contributions to pay funeral expenses can be made to his son, Joseph Scott Mangum: Mail Contributions to: 7601 Blalock Road, Bahama, NC 27503. To send flowers or a remembrance gift to the family of Joseph "Joey" Earl Mangum, please visit our Tribute Store. "Email Address" would like to share the life celebration of Joseph "Joey" Earl Mangum. Click on the "link" to go to share a favorite memory or leave a condolence message for the family.